Email me directly at cafejohnsonia(at)gmail(dot)com or by filling in the contact form below. 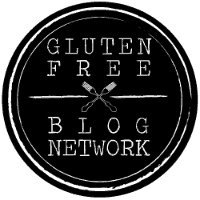 I’m a french journalist student and I’m doing an article about the celiac disease and the gluten controversy. I found your blog very interesting that’s why I’d like to ask you some questions for my work, if you agree. 1) Do you think the celiac disease is well manage by medecine nowadays ? 2) Did accept your disease was difficult ? 3) Do you like, and buy gluteen free products ? Or do you prefer cook for yourself ? 4) According to you, is eating gluten free healthier for everybody ? Or is it just a trend (for people who don’t have celiac disease) ? I’m sorry, I can’t speak about celiac disease specifically. I tested negative for celiac 8 years ago. My gluten-free diet is for similar symptoms, however. I would have felt relieved if I had tested positive because I really wanted to know what was wrong with me. It is difficult to navigate eating a gluten-free diet, but it’s gotten much easier. I use some gluten-free prepared products like pasta and certain baking mixes (Pamela’s Products are my favorite.) But for the most part, I bake and cook from scratch. I have yet to make certain things as good as I can buy them though. Bread and rolls, for example. And the Pamela’s cake and baking mixes are so much better than the ones I’ve experimented with making from scratch. I do not think eating GF is healthier for everyone. I sincerely miss eating whole wheat, barley, and other non-GF foods. I think eliminating fiber-rich whole grains without needing to can be detrimental to a healthy diet. You really miss out on those nutrients unless you can replace them with quinoa, amaranth, buckwheat, and other whole grains or pseudo-grains. Eating less white bread and other processed foods containing gluten is always a good idea, I think. The starches and flours used in most gluten-free products can be very low in fiber and are just as “white” and processed as junk food. I try to avoid those particular types of products anyway. While I think the gluten-free eating has definitely become a trend, at the same time it’s brought to light just how many people have celiac disease and may not have known it. I know of friends and acquaintances that have been diagnosed as recently as a few months ago that had no idea they had celiac. Luckily it’s much easier now that it was even ten years ago. I first heard about gluten-free diets when I met my best friend 13 years ago. Her husband was diagnosed with it and I had never heard of such a thing. I learned a lot via my friend, so it really helped me when I made my transition a few years later.